Fresh acai fruit is not seen outside of South America because the fruit breaks down in shipping. 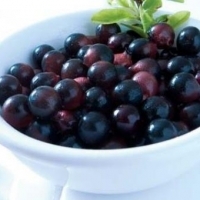 If you have a warm climate, you can enjoy fresh pure, un-diluted acai. Today, many of the health drinks are priced so high, it makes their health benefits not worth the cost. Many companies also blend acai with a bunch of other fruits and keep the concentration a mystery. It has become an expensive delicacy simply because farmers can not keep up with the demand in Brazil. The high-priced drinks still do not offer the same health benefits as raw acai. The majority consist of pulp that leaves brazil as a dried powder form and then mixed into juices with water when it arrives in the USA. Processed foods always carry less nutrients. In the past, acai was available to everyone, including the poor. Now it is out of reach for many in the amazon region because of the increase in world-wide demand for this healthy berry.